These cookie recipes are tried and true — whether you are baking for family, sharing a holiday treat with neighbors, hosting a cookie exchange or just hoping to surprise Santa. Enjoy some good old Christmas cookie decorating with this variety of easy Christmas cookie recipe ideas. 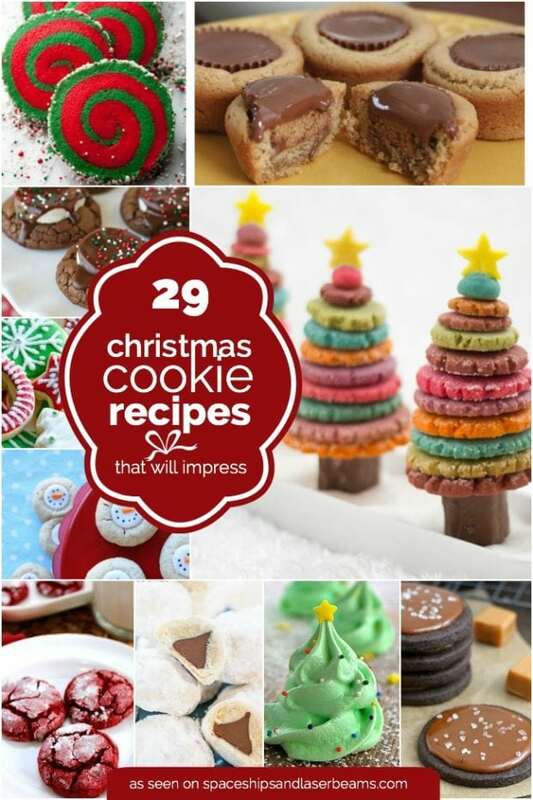 Because there’s no limit to the number of amazing recipes that can be found this time of year, we’ve rounded up some amazing decorated cookie recipes with helpful pictures you can add to your must-try list. We’ve got all the easy classics like thumbprint cookies, snickerdoodles, hot cocoa cookies, gingersnaps, peanut butter balls and Ritz cookies. There are also more unique treats including 3D tree, pecan pie, rosemary and orange chocolate chip cookies, and homemade Reese’s cookies. Mmm…yum! 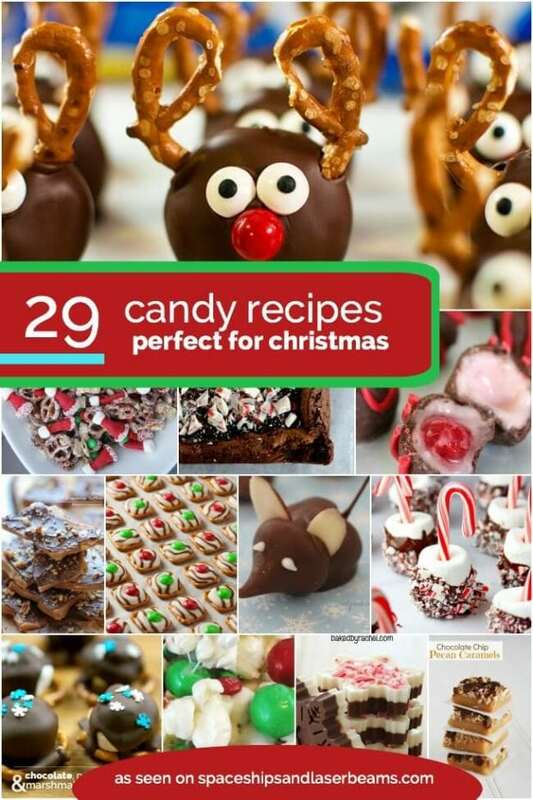 There is nothing sweeter then these 29 Christmas Candy Recipes. Plan the ultimate Christmas party with these 10 Christmas Party Food Ideas. Thumbprint cookies are a Christmas cookie staple! 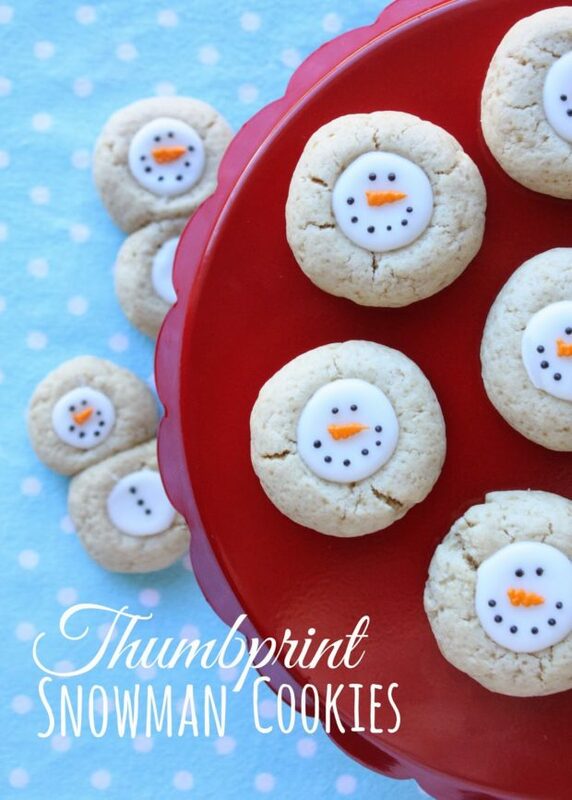 Wouldn’t these thumbprint snowman cookies look adorable on a holiday party platter? There are instructions for making them as singles and doubles. Make up the cookie dough according to the recipe, press your thumbprint into the center of each, and bake. Once the cookies are cooled, fill the centers with icing. Once dry, the fun part is decorating each snowman using royal icing for the eyes, buttons, and carrot nose. These are sure to bring smiles at Christmas time. 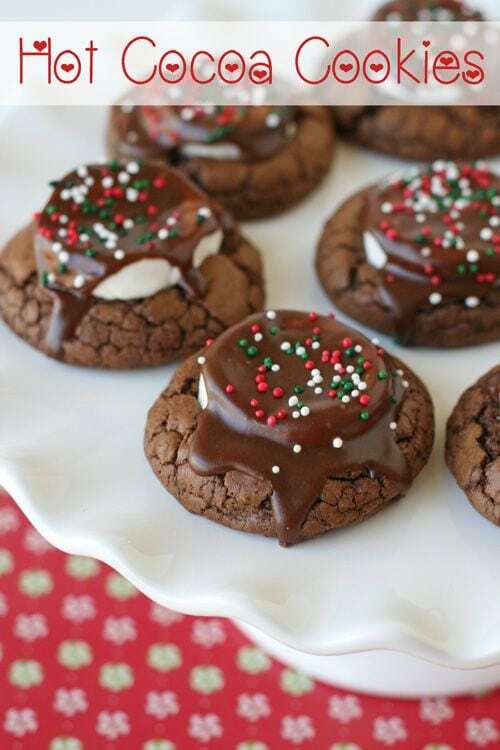 Chocolatey, chewy and topped with an easy-to-make frosting, these hot cocoa cookies are great for taking to a Christmas cookie exchange. Bonus! Cookies can be stored in an airtight container for up to two days, so you can bake ahead and still have something fresh to serve holiday party guests too! You can’t go wrong with classic ingredients like walnuts, chocolate chips and delicious oats. If you haven’t tasted the world famous DoubleTree Hilton Hotel cookies, now is your chance. This copycat recipe will quickly become a favorite. Buttery rich with a great chewy texture and full of chocolate chips and chopped walnuts, you better make an extra batch for yourself. 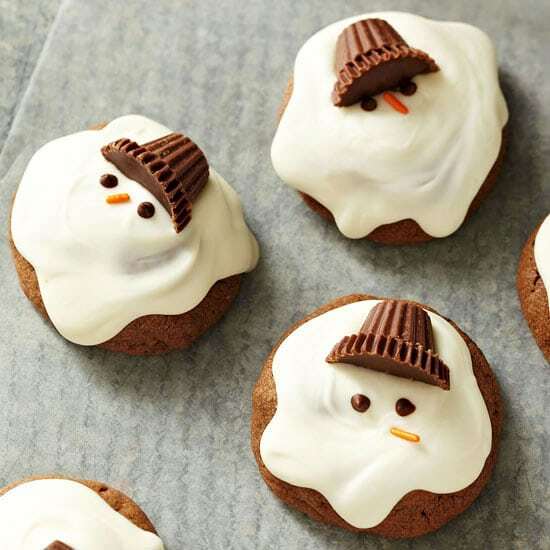 If there was a prize for the cutest Christmas cookies, these chocolaty melting snowmen would definitely win top prize. These easy-to-make cookies don’t really melt, making them grin-worthy candidates for gift tins. The frosting couldn’t be easier to produce as it simply involves melting vanilla flavored candy coating. A peanut butter cup is used to create the top hat, and various sprinkles and candies are used to create the snowman’s face. Does anything scream “Christmas” more than sugar cookies? 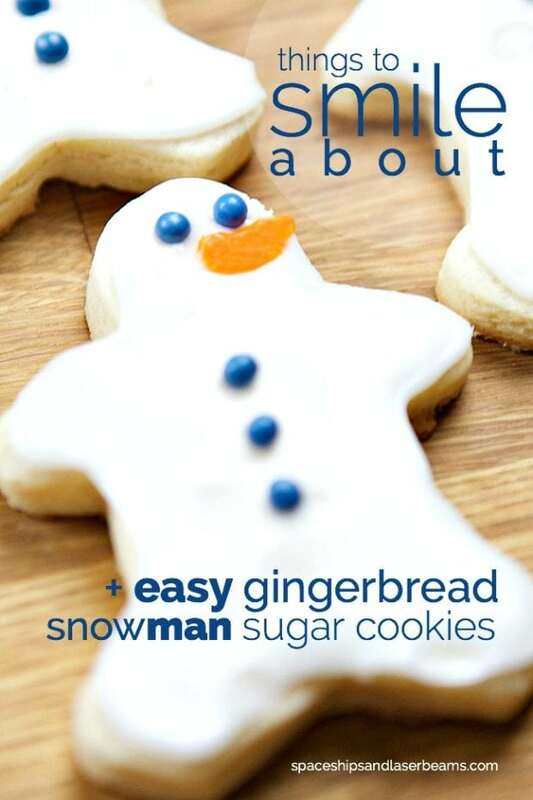 You can create these easy gingerbread snowman sugar cookies. Don’t let the recipe title fool you. These cookies aren’t made out of gingerbread. Rather, the recipe calls for using your gingerbread man cookie cutter for a perfectly shaped snowman. 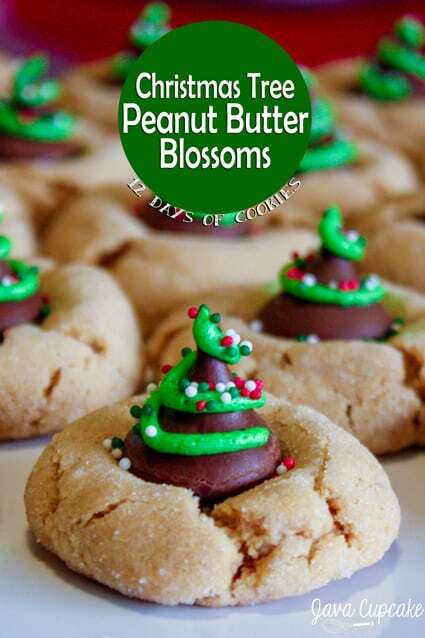 These Christmas tree peanut butter blossoms are a festive twist on a classic peanut butter cookie. Plus, they are decked out in festive frosting and sprinkles for the holiday season, making them a great choice for your holiday parties and/or cookie exchanges. This sweet design is sure to impress but it isn’t complicated—a real boon for busy schedules. 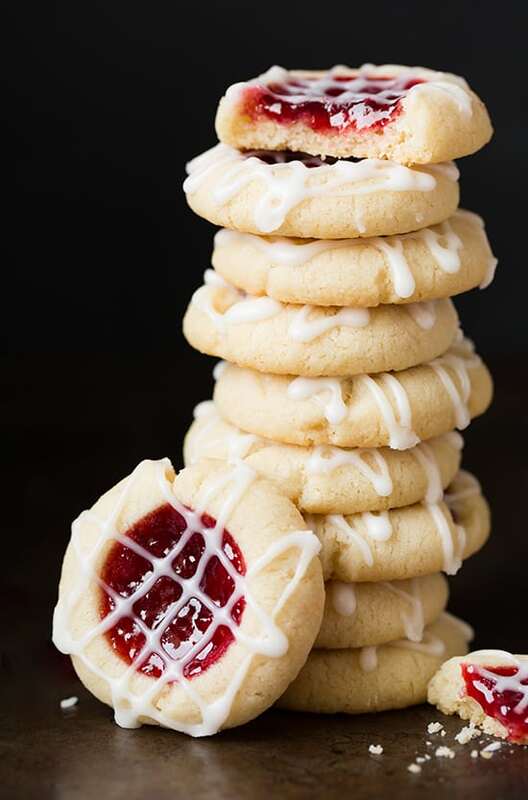 Here’s another version of the popular thumbprint cookies—raspberry almond shortbread thumbprint cookies. The red center makes them look especially festive on a cookie tray, but the glaze takes the festiveness to a whole new level. These Christmas cookies are delicious. Need to fill that cookie jar but you’re out of time? Four ingredients and 30 minutes and you’re ready to party. Did we mention that one of the ingredients is the Cookies & Crème Cookie Butter from Trader Joes? Yeah, these cookies are amazing. Since they are dipped in chocolate, they look impressive and can be displayed on a dessert table or packaged up as gourmet edible party favors. 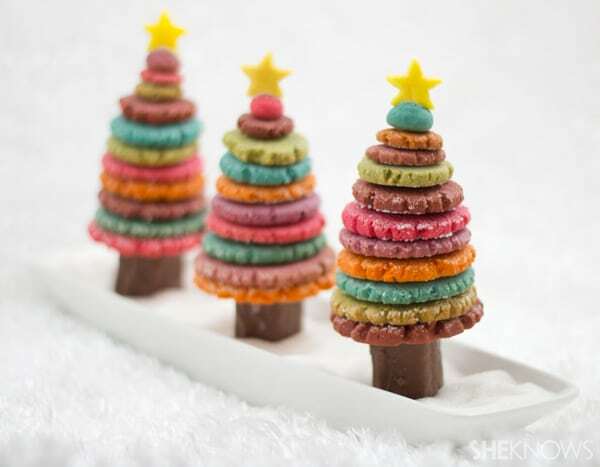 When it comes to impressive Christmas cookies, these colorful 3D Christmas tree cookies are tops. Who wouldn’t be thrilled to receive these edible pieces of art? They would make a spectacular platter display for a party table with their candy bar tree trunks and colorful layers of cookie tree. No cookie cutters are needed. If eating cookies for breakfast is wrong, you may not want to be right. You’ll crave this recipe night and day. Salty chocolate caramel butter cookies are perfect for your Christmas cookie baking list. 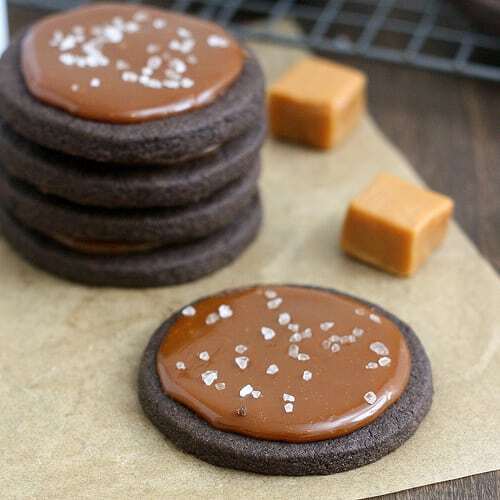 Rich chocolate, sweet caramel, and a pinch of sea salt makes these cookies decadent in the most delightful way. Here’s a super-easy cake mix cookie—every holiday cookie tray should have a little peppermint. 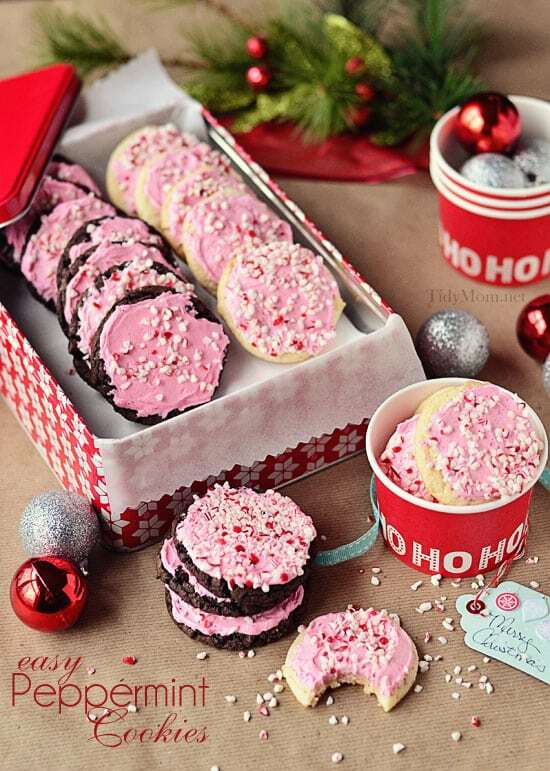 These peppermint buttercream cake mix cookies are Santa approved! Treat yourself to a cookie or two after a marathon Christmas gift wrapping session or load them up on a cookie tray for sharing at a holiday party. The festive frosting with sprinkles of crushed candy cane makes them especially festive. Trying to figure out how to make stress-free Christmas cookies? Start simple! Here’s a cheater’s version of Russian tea cakes with only three ingredients. 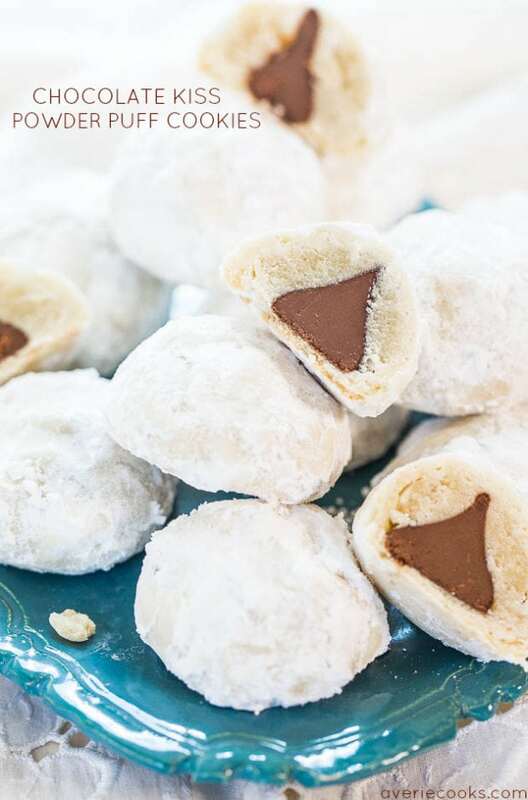 This recipe uses store bought sheet pie crust, chocolate kisses, and powdered sugar. Easy right? Consider it our Christmas gift to you. Ho-ho-ho! 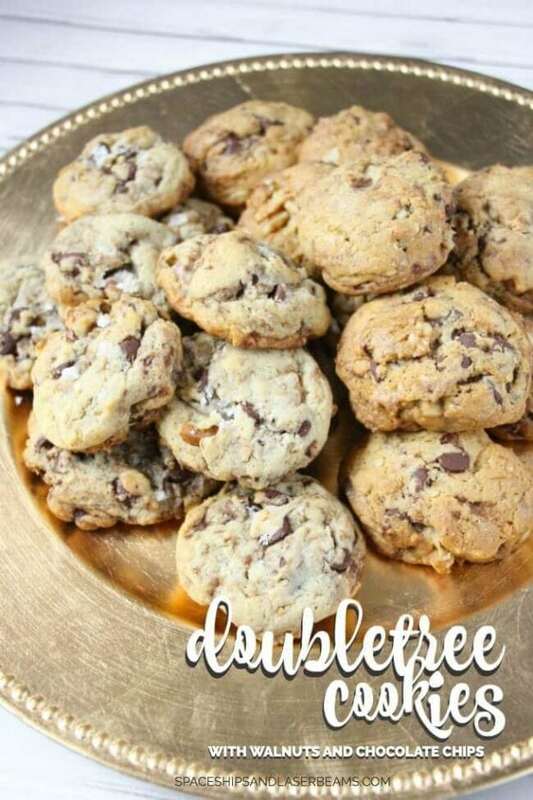 These Doubletree Cookies are another favorite recipe we love. Make sure to check out these letters from Santa as well to leave behind after the cookies are eaten. This Christmas season, mix up your chocolate chip recipe with a rosemary and orange twist. Adding rosemary to chocolate and orange even smells like Christmas—divine. This is a Christmas cookie recipe you’ll want to keep on hand. The requests will pour in for more of these unique cookies. 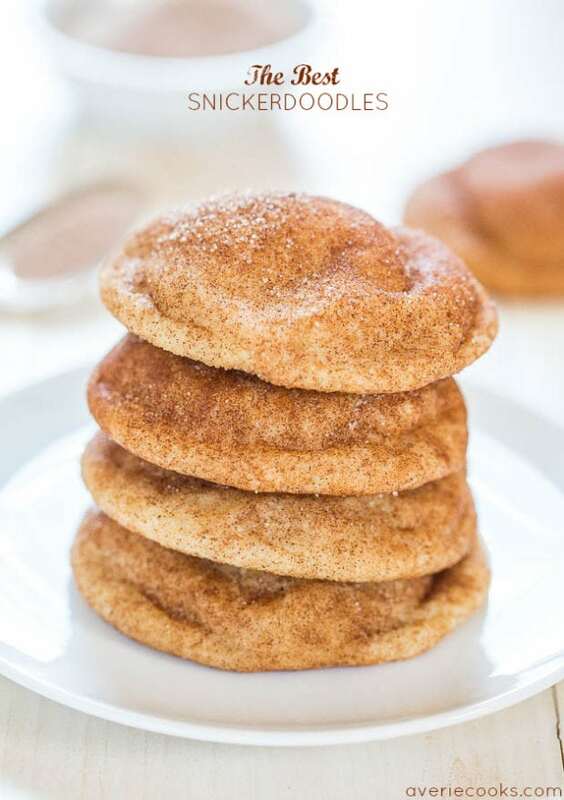 Do you have a Snickerdoodle recipe you love? If you do, throw it out and check out the recipe for the best Snickerdoodles! If you don’t, you do now! This recipe is the best. Picture this: slightly chewy edges combined with a soft center, topped with cinnamon and sugar. Who wouldn’t want some of these in their gift basket? 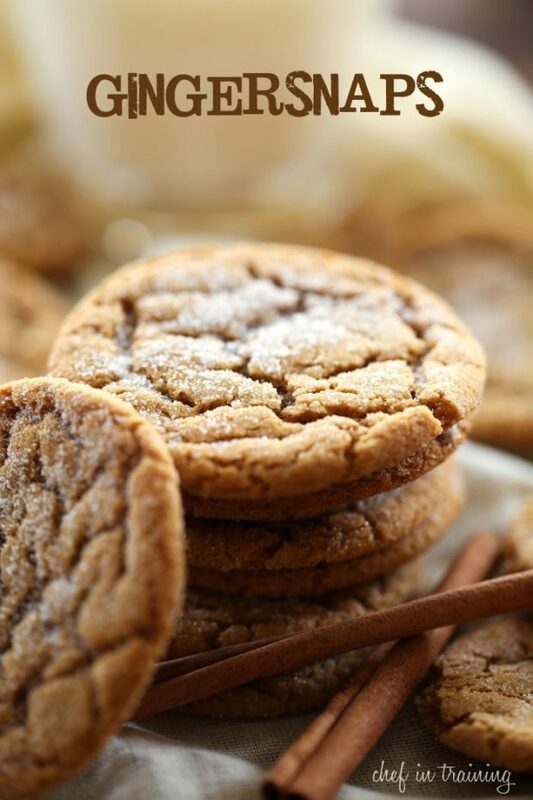 A quintessential winter cookie, gingersnaps are so simple to make, but so delicious. I can almost smell them, just thinking about them. They definitely give off a favorite Christmas scent. 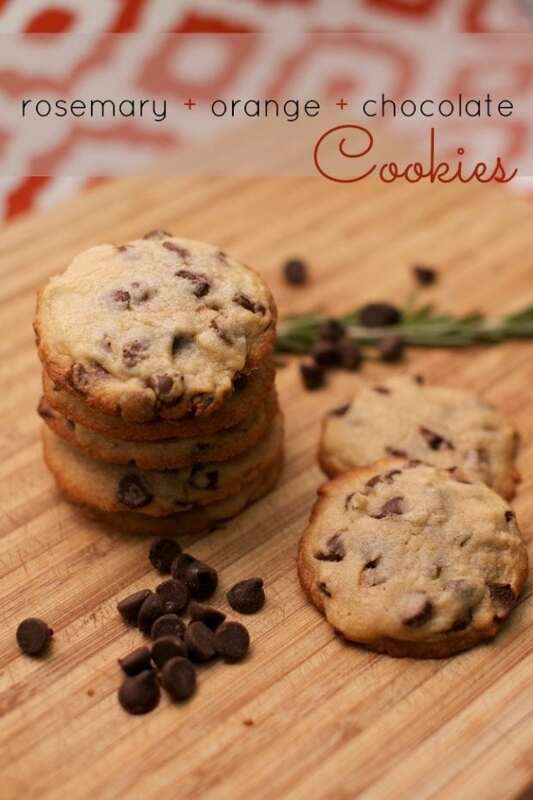 Stuff the cookie jar with a batch of these and swoon every time you take the lid off. Heaven in your mouth. That’s what these homemade Twix bars will be. If bar cookies are your thing, you will love this gooey homemade caramel, chocolate and shortbread version. 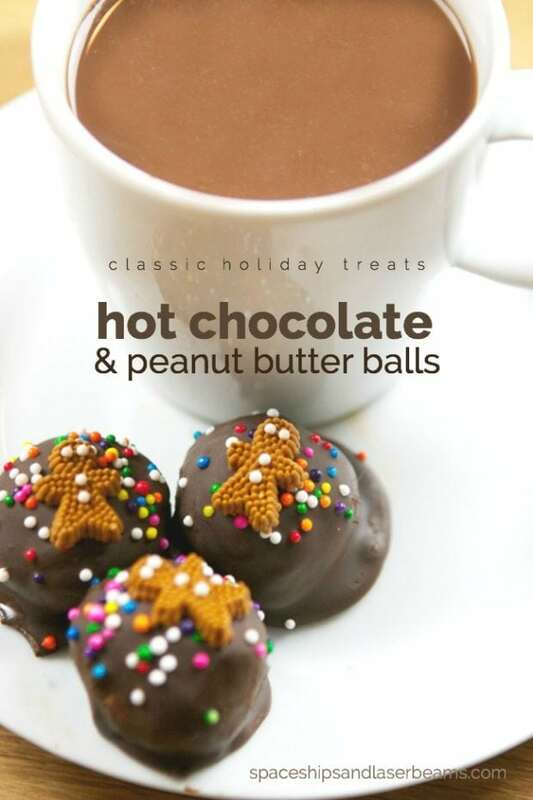 Wrap these up as a wonderful Christmas cookie gift idea to share with friends and neighbors. Not only do I love this chocolate-peanut butter combo, they’re easy to decorate plus they look darling stacked on party trays. Bonus: this is a no-bake and no-flour recipe. In fact, only 5 ingredients are needed with candy decorations being optional. 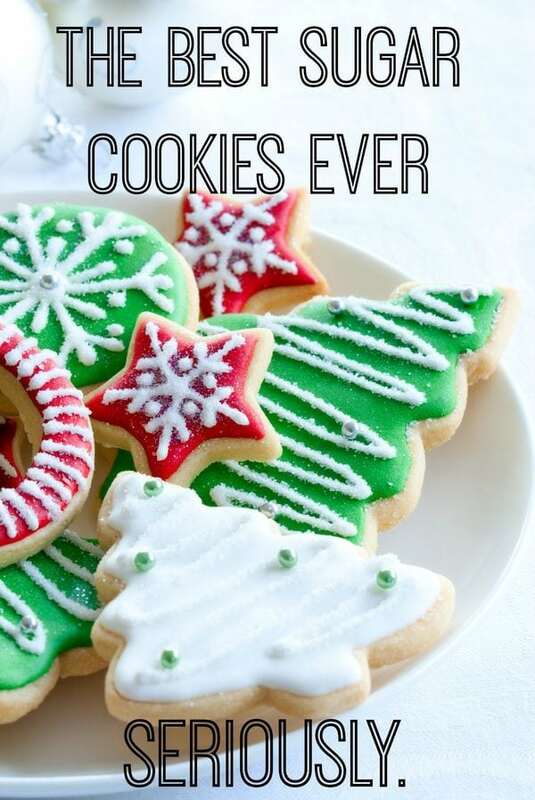 Add these to your Christmas cookie lineup! 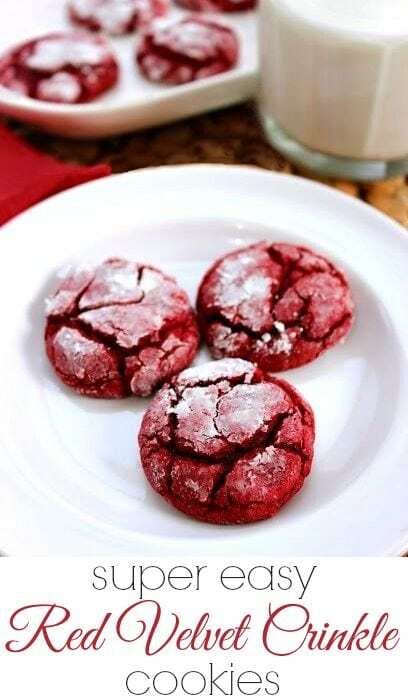 When you need an easy-to-make holiday cookie récipe that is sure to be a hit, pull out this one for easy red velvet crinkle cookies. Use a red velvet cake mix to speed up baking day. Confectioner’s sugar adds a hint of “snow”. Only 5 ingredients and a 9-11 minute bake time means you can have a Christmas treat ready in less than 30 minutes! Christmas has come early for Starbucks cranberry bliss bar lovers. This recipe highlights all that is good about the cranberry bliss bar—cranberries, white chocolate, warming spices, a crisp outside and chewy cookie inside. Heaven in a cookie. 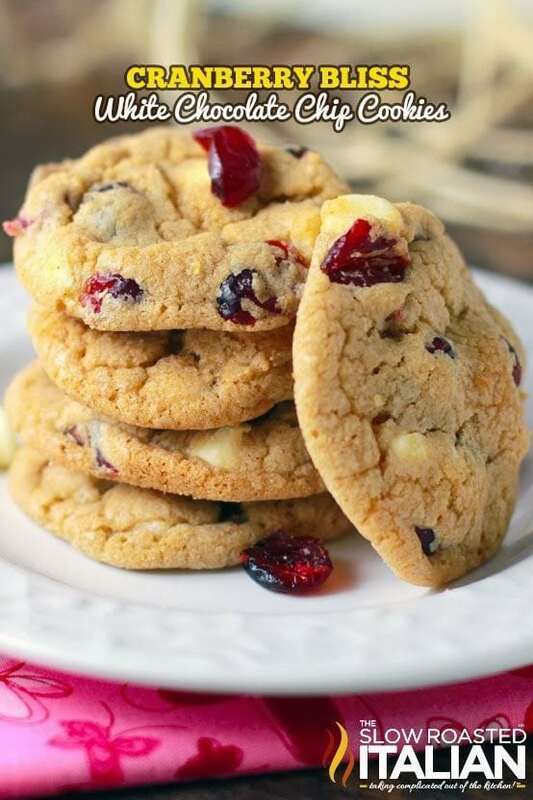 Now you can create your own cranberry bliss white chocolate chip cookies from home. From prep to plate in 30 minutes? That is bliss! Cinnamon rolls and cookies—a perfect marriage? 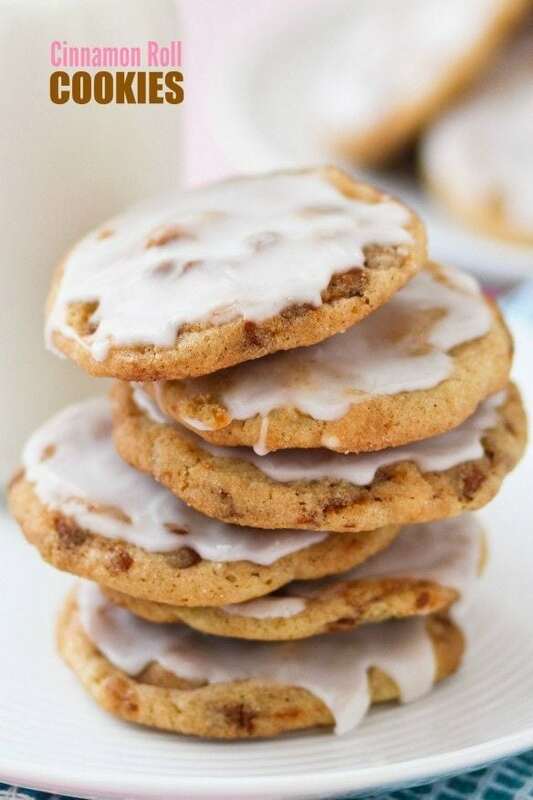 Take a bite out of one of these cinnamon roll cookies, and you’ll answer a resounding “yes”. Could anyone resist these temptations? Maybe you could even call them breakfast. They are a lot like biting into a cinnamon roll with a frosting glaze on top, but in cookie form! Give yourself an hour to prep and bake these beauties. Imagine a cookie with a thin, flaky crust and a layer of nutty, caramel pecan pie filling and you’ll get these pecan pie cookies. This cookie dough is really store bought pie dough, which makes this recipe surprisingly easy! Chocolate chips make quick work of the frosting. 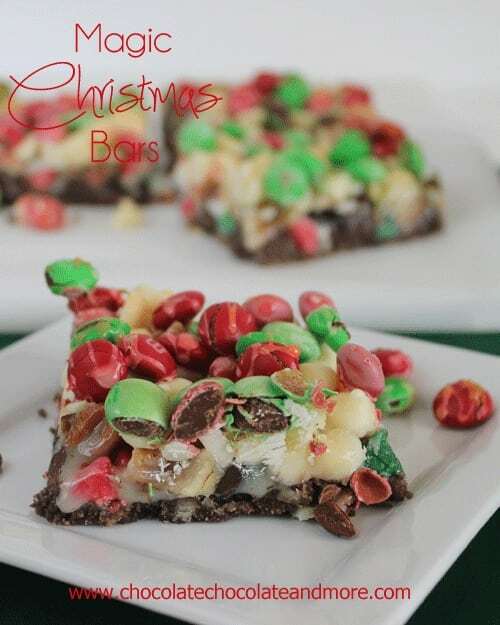 The combination of layers of crushed vanilla cookies, holiday morsels, pecans, white chocolate chips, M&Ms, sweetened condense milk, followed by another layer of M&Ms is what puts the “magic” in this recipe for magic Christmas bars. Seven layer cookie bars look wonderful in Christmas red and green. Show them off in a clear, glass container on your dessert table. 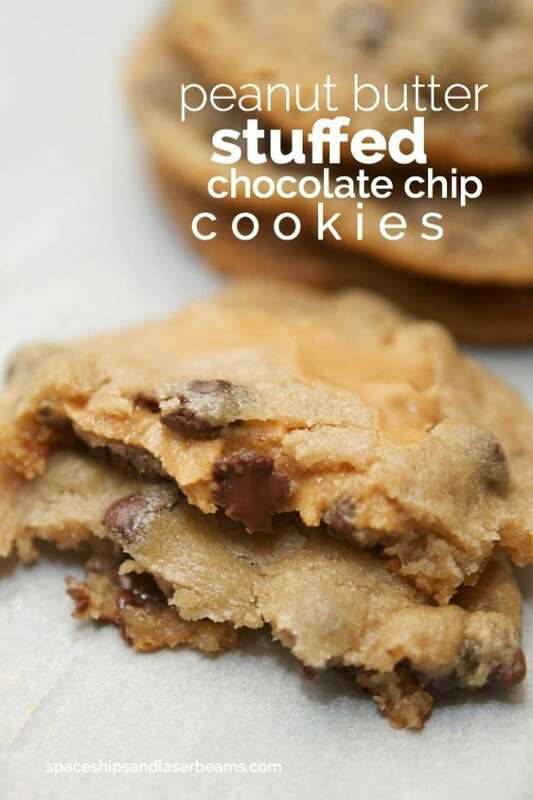 Imagine freezing teaspoon sized lumps of peanut butter, dividing those in half and wrapping them in your favorite chocolate chip cookie dough. Another round of freezing and then it’s baking time! Can you anticipate the deliciousness of what you’ve just created? You can’t go wrong with classic flavors. These are delicious and I want one (or more) right now. 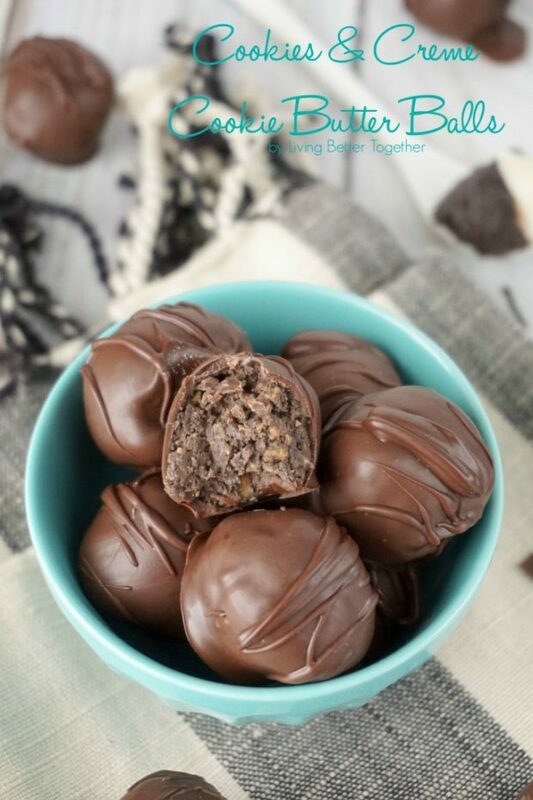 Christmas is the perfect time to make these to share with loved ones. 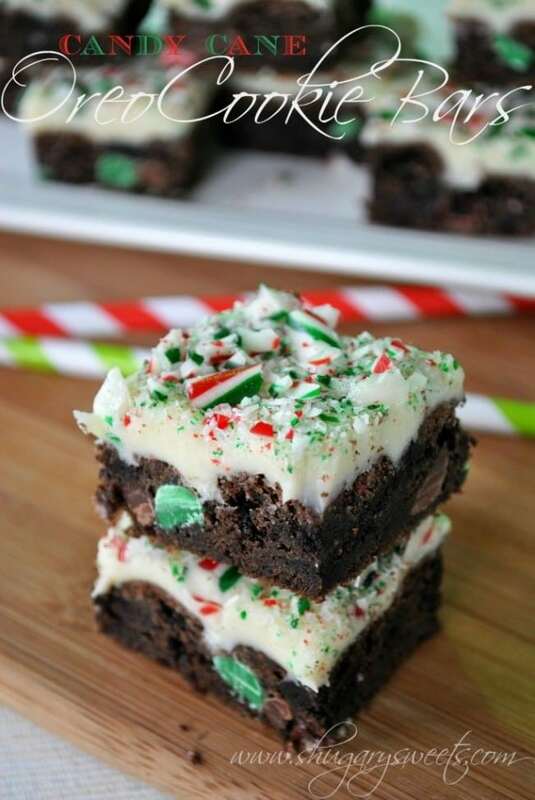 These candy cane Oreo cookie bars start with holiday candy cane Oreos. You’ll also need red and green chocolate chips and white chocolate bars in addition to about another dozen ingredients. The effort to create these bars is worth it! Bar cookies like this look wonderfully festive on a dessert plate or a party table and they transport easily in gift bags or tins. Is there anything better than sugar cookies? Use your Christmas cookie cutters and a little frosting to create these cookie exchange favorites. Involve your children in the decorating. Candies and sprinkles in Christmas colors can be used to make these the best sugar cookies ever! The gift of baking is often considered one of the best Christmas presents ever. 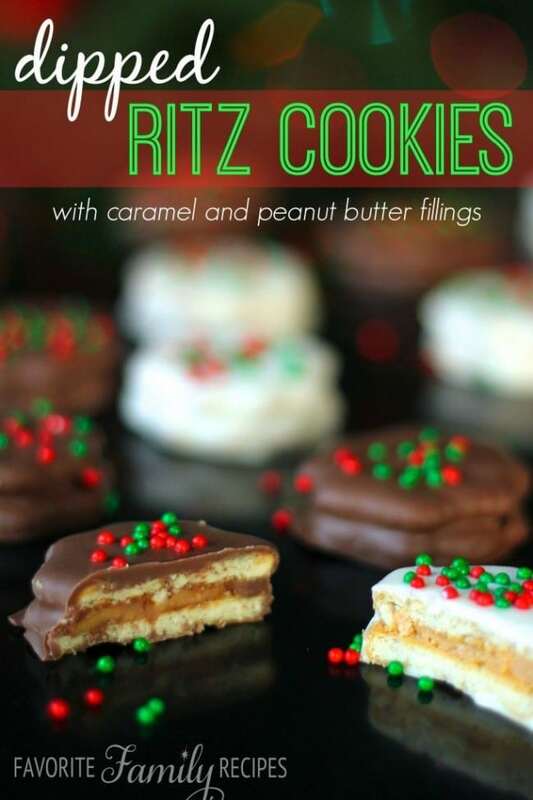 Dipped Ritz cookies pair the saltiness of Ritz crackers with the sweetness of chocolate, creating a winning cookie combination. The caramel or peanut butter filling options are a total bonus. You don’t even have to make cookie dough for these fancy little orbs. 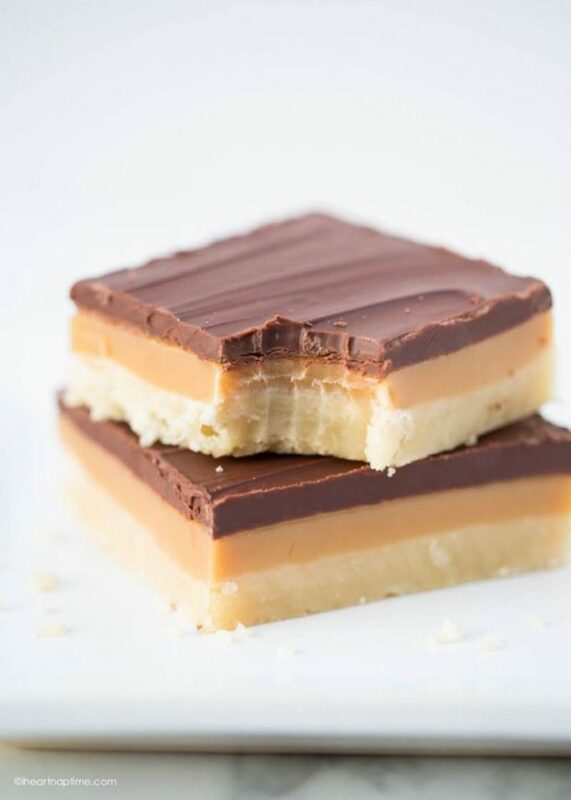 White or dark chocolate and caramel or peanut butter filling should please anyone on your list. Merry Christmas to everyone. 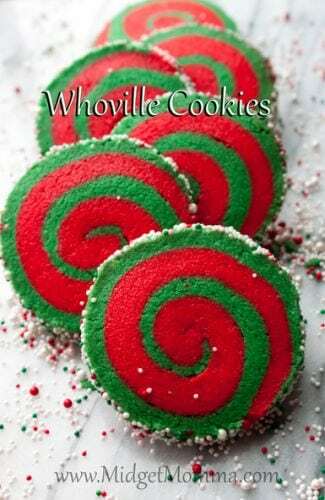 We’re pretty sure that even the Grinch himself couldn’t find anything to dislike about these Christmas Whoville cookies. They are so whimsical and fun with red and green swirls. They look totally time consuming, but you’ll be amazed by how easy they are to make. They don’t even require icing, but still look dressed up for the holidays. Bring joy to the Christmas season with these awesome sugar cookies. 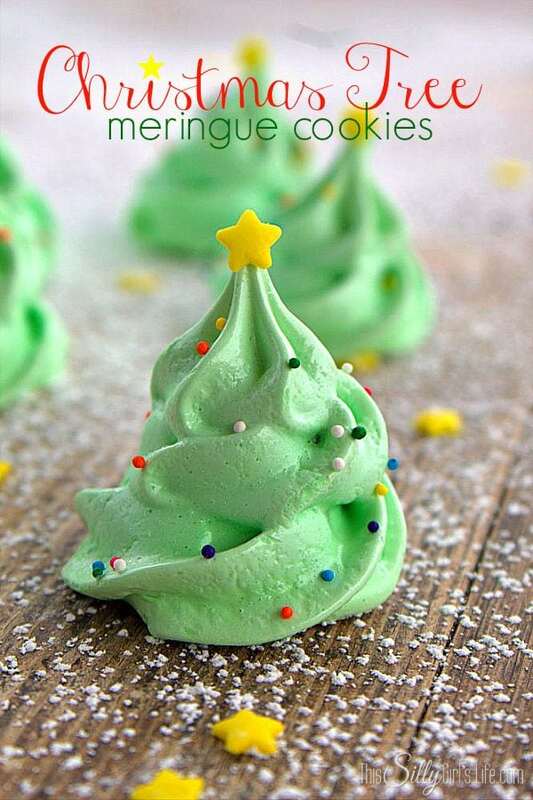 Fun and festive, these light-as-air Christmas tree meringue cookies are a super cute dessert for your holiday parties. Not only is the meringue delicious, the Christmas tree shape and candy decorations are so creative. No one could resist their melt-in-your-mouth goodness. You can’t beat homemade Reese’s cookies come holiday time! Who doesn’t love a good peanut butter cup cookie? You’ll love how simple this homemade Christmas cookie recipe is! Summon all of your will power. 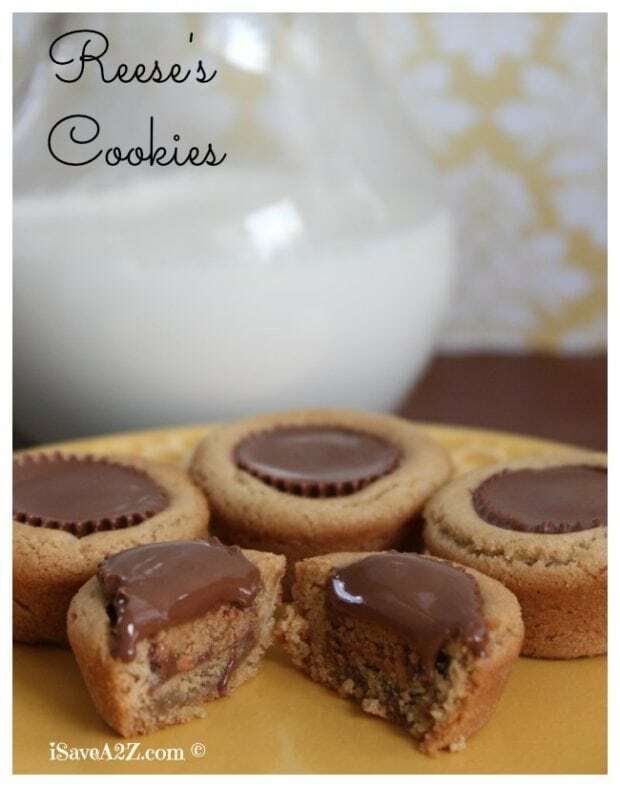 It will be needed to avoid eating all the Reese’s peanut butter cups prior to baking the cookies. 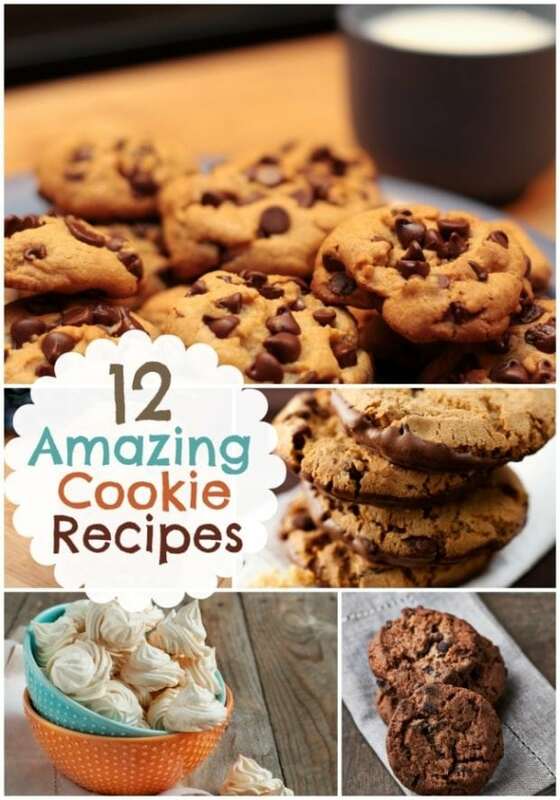 Wondering how to achieve that perfect bite sized cookie? Use a mini muffin pan and Reese’s miniatures.